The Trans-Siberian Railway is a network of railways connecting Moscow with the Russian Far East. 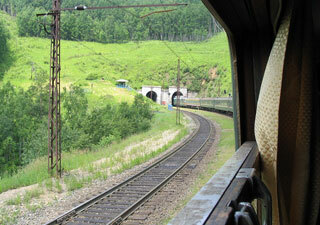 With a length of 9,289 kilometres (5,772 miles), it is the longest railway line in the world. There are connecting branch lines into Mongolia, China and North Korea. It has connected Moscow with Vladivostok since 1916, and is still being expanded. This article uses material from the Wikipedia article "Trans-Siberian Railroad Trip", which is released under the Creative Commons Attribution-Share-Alike 3.0 License.